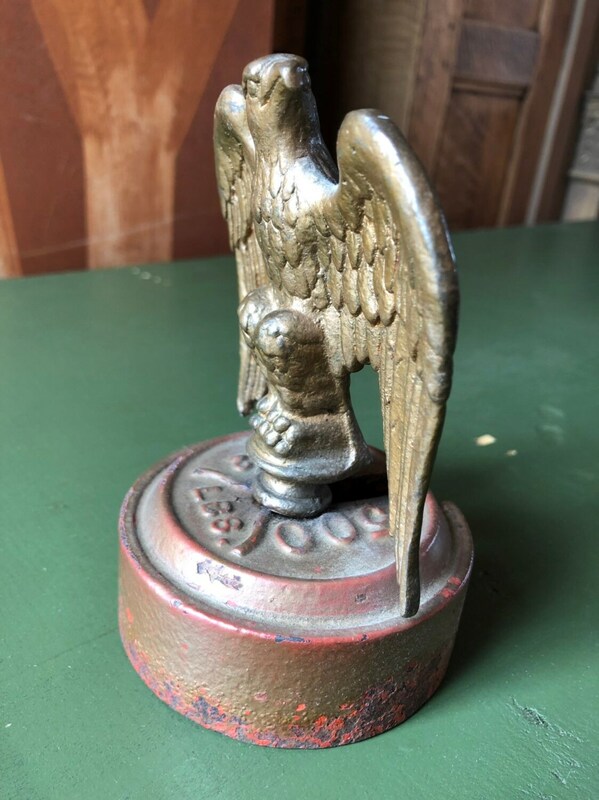 Made from an old flag pole finial and 2 1/2 LB. 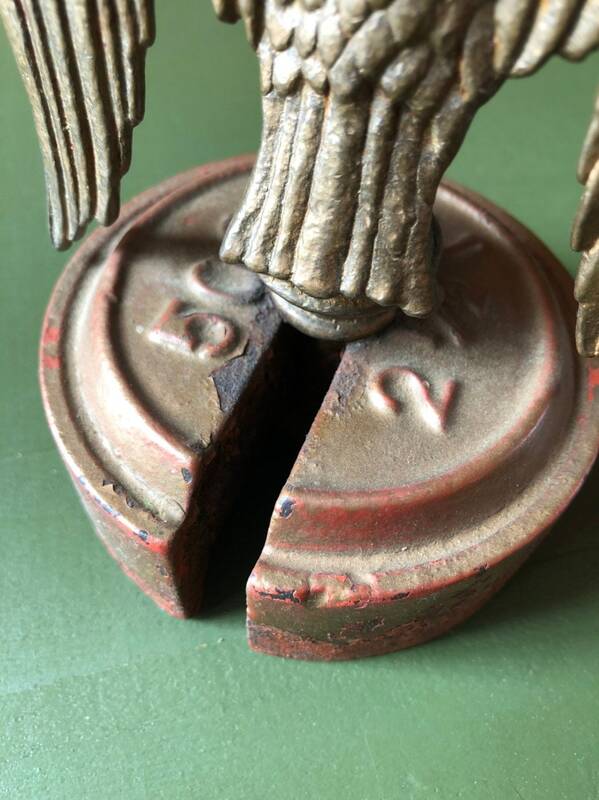 scale weight. 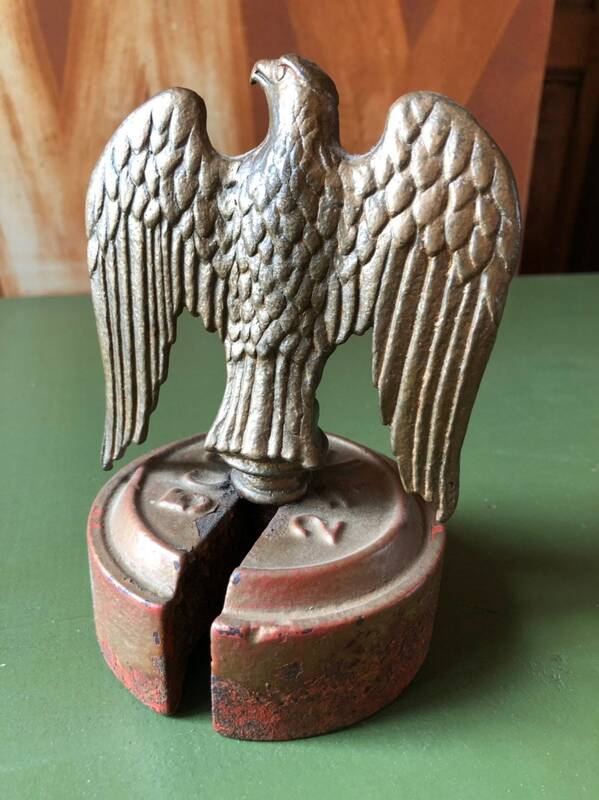 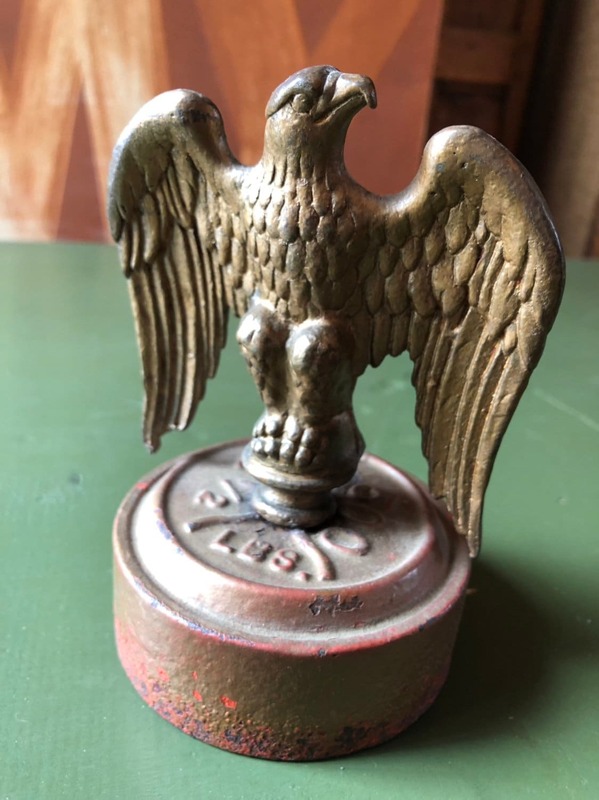 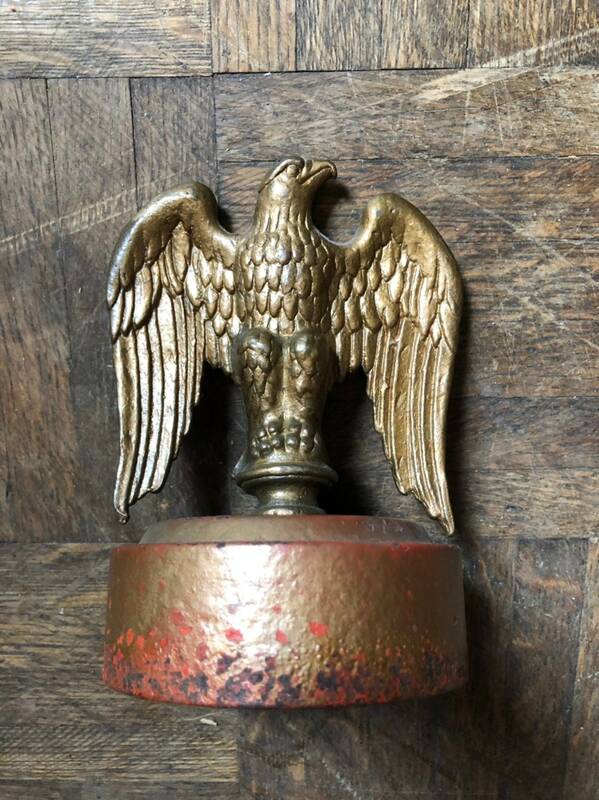 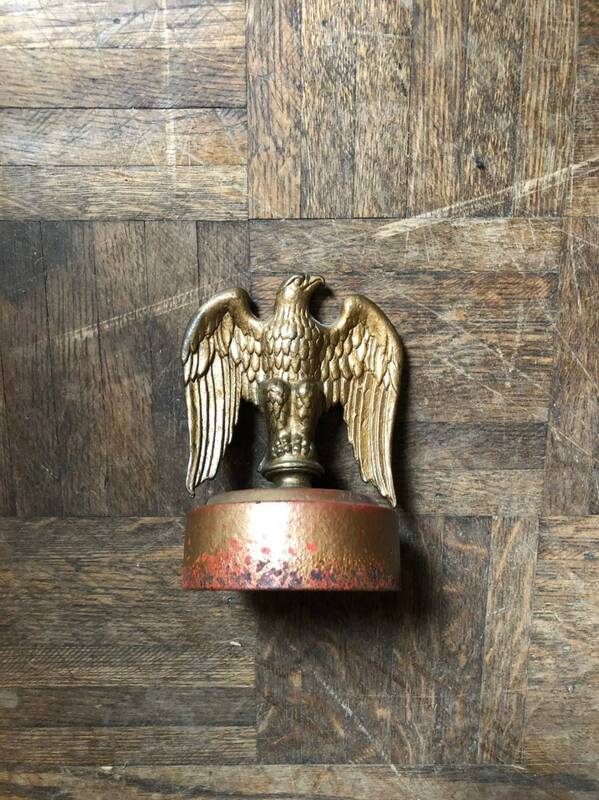 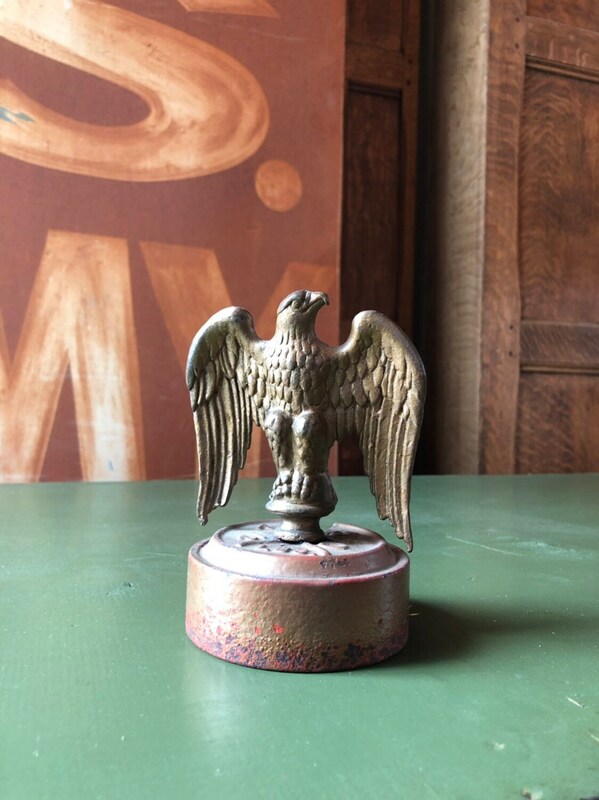 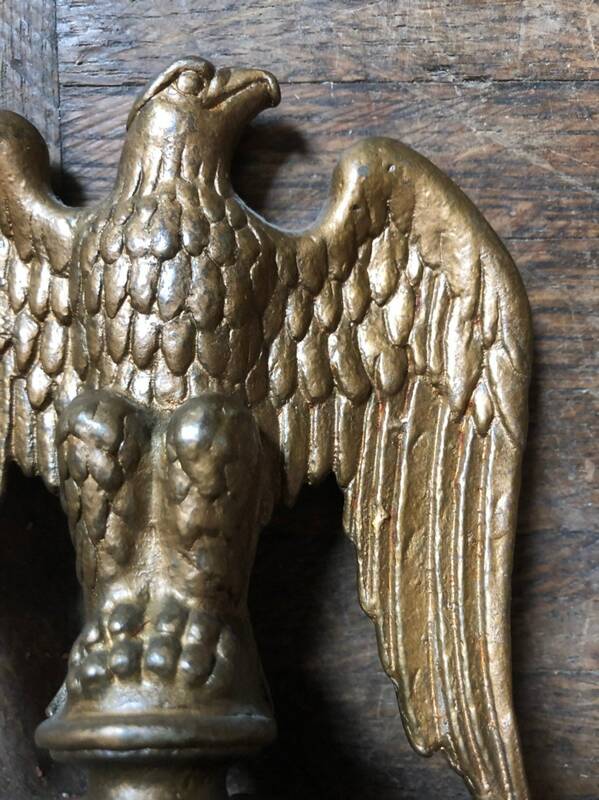 Eagle is solid cast brass, painted over with gold paint. 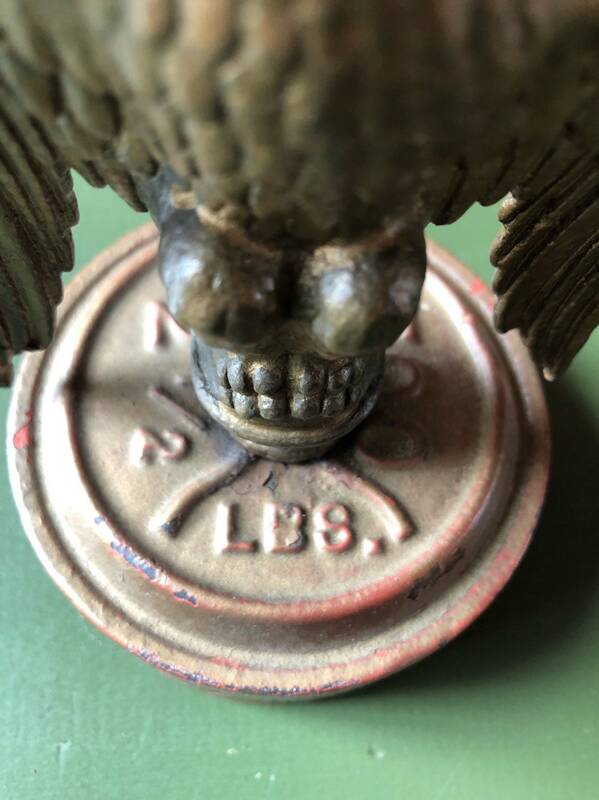 Perched on top of a solid cast iron weight. 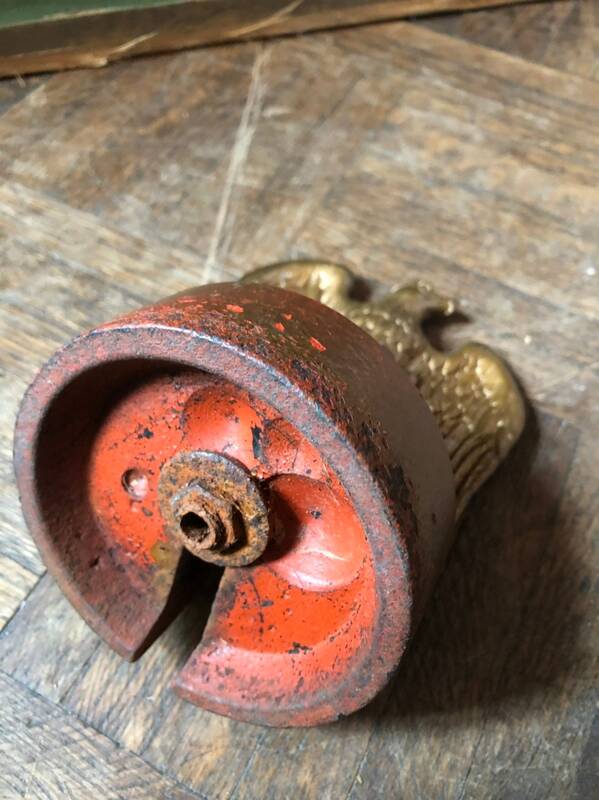 Light surface rust on the weight.